AllegroMedical.com presents The Elastic Bandage Tan Roll. 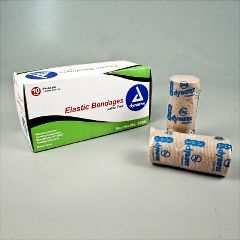 A 100% latex free elastic bandage, providing outstanding compression and stretch. Individually poly-wrapped with 2 clips. 4.5 yards, stretched.